Notes: The Castello Cantelmo is an ancient fortress of the Comino Valley, in the territory of the province of Frosinone on the border with Abruzzo and Molise. It is placed on top of a hill overlooking the plain of Alvito, which runs along the north-east south-west, where is also located the village of Castello, a hamlet intramoenia of Alvito and foundation of the city center, one the primitive settlements emerged after the breakup of the Benedictine Civita di Sant'Urbano. Since nineties is owned by the City of Alvito, which is taking steps to rebuild it in the head parts, in time, destroyed, and re-consolidate what remained, to promote you cultural and social events meetings. 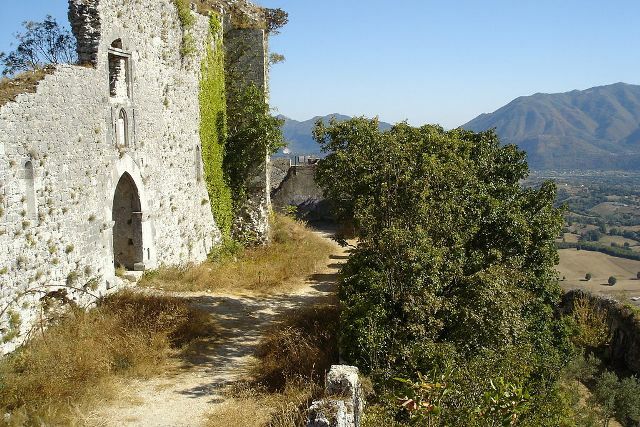 It is also known as "Alvito" Castle, although administratively it indicates to that effect the entire fraction alvitana where you site the manor.